An extraordinary and moving novel, How to Make an American Quilt is an exploration of women of yesterday and today, who join together in a uniquely female experience. As they gather year after year, their stories, their wisdom, their lives, form the pattern from which all of us draw warmth and comfort for ourselves. 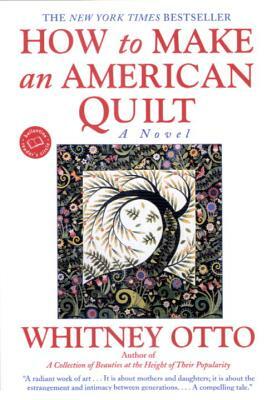 Whitney Otto is the bestselling author of How to Make an American Quilt (which was made into a feature film), Now You See Her, and The Passion Dream Book. A native of California, she lives in Portland, Oregon.